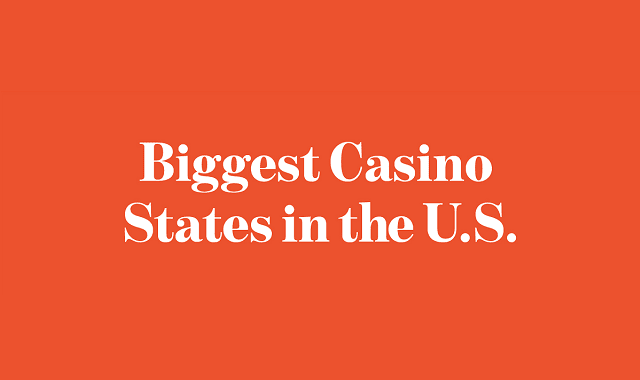 Biggest Casino States in the US #Infographic ~ Visualistan '+g+"
We all know that Las Vegas has a ton of casinos - but have you ever wondered what other states have a high concentration of casinos? Or maybe you're a big gamer trying to plan your next vacation? Either way, Greektown Casino has you covered with this infographic! Designed by Greektown Casino, a leading casino in Detroit, MI, this infographic explores the states with the highest overall number of casinos, the highest number of casinos per population, and much more! With this infographic we hope to teach you, the gamer, more about which casino destinations have the highest amount of gaming excitement to offer, as well as show off some unsung casino locations that might not get the same amount of love that the bigger, more obvious vacation spots get - I mean, have you ever really thought about how many casinos Oklahoma has? You will after reading this guide!